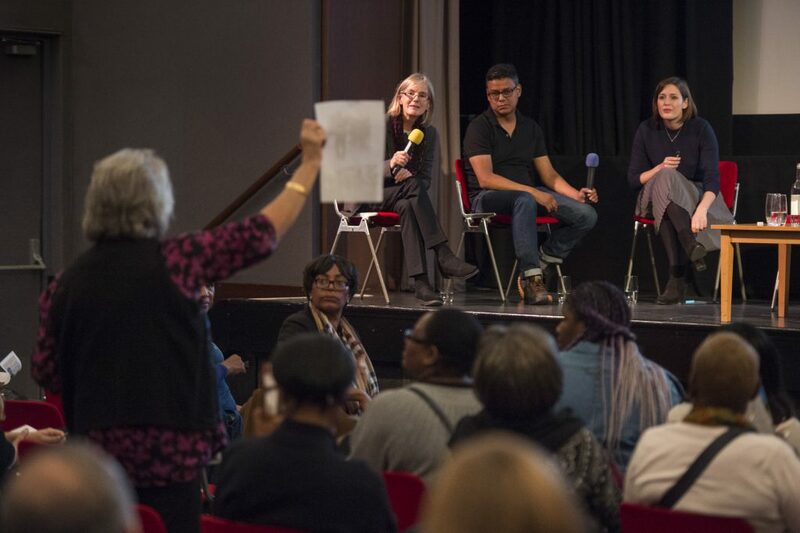 On Saturday 15th October 2016, the Centre for Hidden Histories in partnership with the Imperial War Museum, London held a public workshop on ‘Black People’s Involvement in the First World War’. 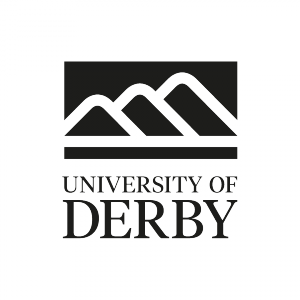 Convened by Emeritus Professor David Killingray (Goldsmiths), who is a historian of the First World War in Africa and Dr Caroline Bressey (UCL), the workshop included papers from a range of academic experts and community activists. The day also featured contributions from Suzanne Bardgett (Head of Research and Academic Partnerships, IWM) and Lucy Footer (First World War Centenary and Anniversaries Advisor, Heritage Lottery Fund). It attracted approximately fifty audience members who actively participated in the workshop’s question and answer sessions. Copies of the IWM’s AHRC-supported Whose Remembrance? film and guide: ‘Researching the British Empire in the First World War’ was made available to participants (click here for a copy). 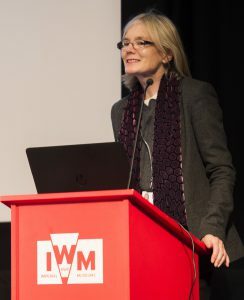 More resources can be found on the IWM’s Whose Remembrance? webpages and on the First World War Centenary website. Stephen Bourne (speaking), Professor David Killingray and Patrick Vernon. Community historian, Stephen Bourne (author of Black Poppies: Britain’s Black Community and the Great War) spoke about using oral history testimony in research, from conducting interviews for Aunt Esther’s Story which was published as part of the Hammersmith and Fulham Ethnic Communities Oral History Project (1996) to searching the BBC archives to source World War I era testimonies for Black Poppies. 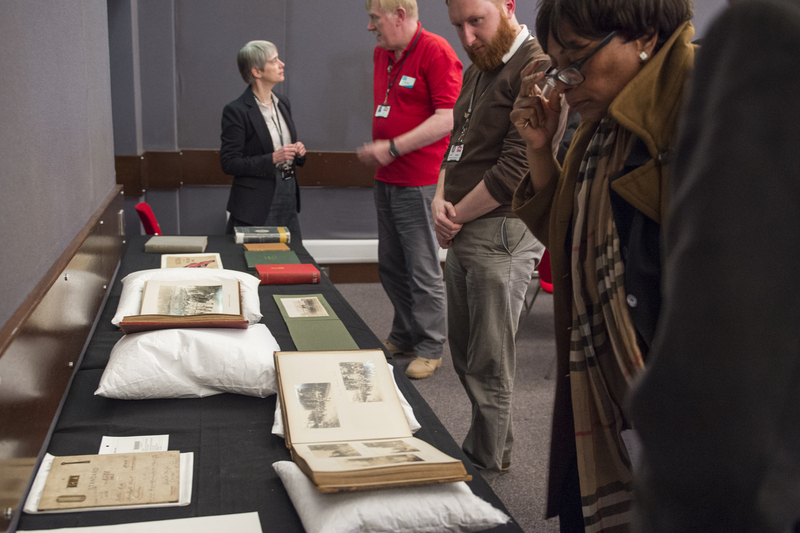 Human Geographer and founder of UCL’s Equiano Centre, Dr Caroline Bressey used her knowledge of the Barnardos archive to trace the World War I era life stories of Black British individuals. 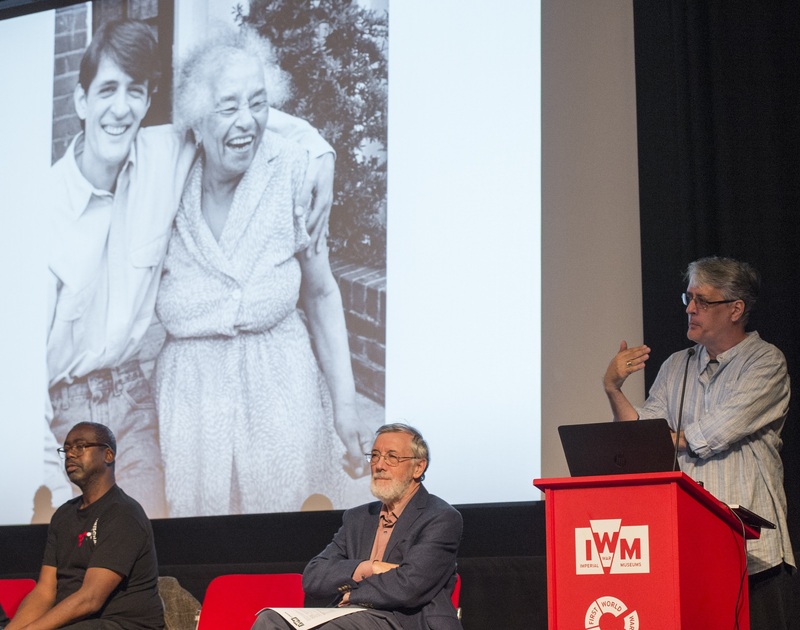 Patrick Vernon OBE, Clore Fellow and founder of Every Generation Media and 100 Great Black Britons, cast a critical eye over the World War I centenary noting significant events where the contributions of Black servicemen continue to be marginalised or occluded. 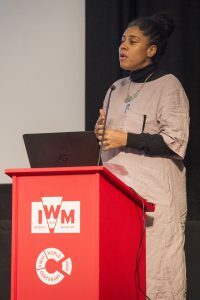 The workshop also introduced the research of Early Career Researcher, Anna Maguire (IWM and King’s College, London) who spoke about West Indian experiences during the First World War. 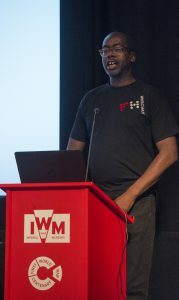 Birkbeck PhD candidate, John Siblon broached the still controversial subject of the marginalisation or non-recognition of African and Caribbean servicemen in post-1918 British World War One memorials. Maguire and Siblon also joined Bardgett for a discussion about the representation of First World War colonial troops and laborers in photographs from the IWM’s archive. The day concluded with an opportunity for the public to see objects and artifacts from the museum’s holdings. First World War era objects from the IWM’s collections. 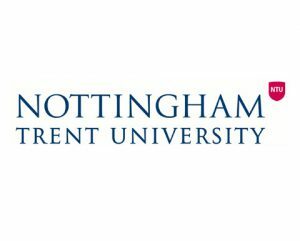 Click on the link to read more about the Centre for Hidden Histories contribution to Black History Month on the University of Nottingham’s ‘People and Culture Blog’. Suzanne Bardgett, John Siblon, Anna Maguire and audience.